Simple Minds achieved their biggest world-wide popularity from the mid-1980s to the early 1990s. From Glasgow, the rock band produced a handful of critically acclaimed albums in the early 1980s, and later went on to produce some politically inspired and critically praised work. 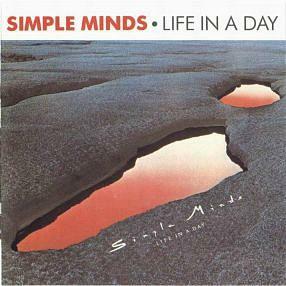 The debut album, Life In A Day, spent six weeks in the British LP charts, peaking at #30, and the title track was also released as a single. The band's earlier work was more synth-based and Jim Kerr's vocal style and fashion sense was very much more flamboyant and experimental in the early days. 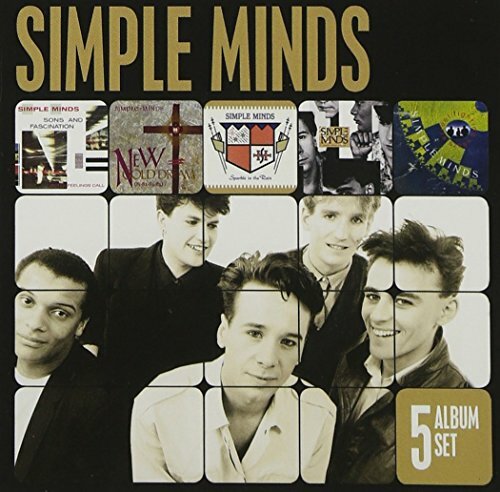 One of the most-played Simple Minds tracks is, of course, "Don't You Forget About Me", which was the No.1 soundtrack of the film The Breakfast Club, and in 1985 the band reached the peak of their career. 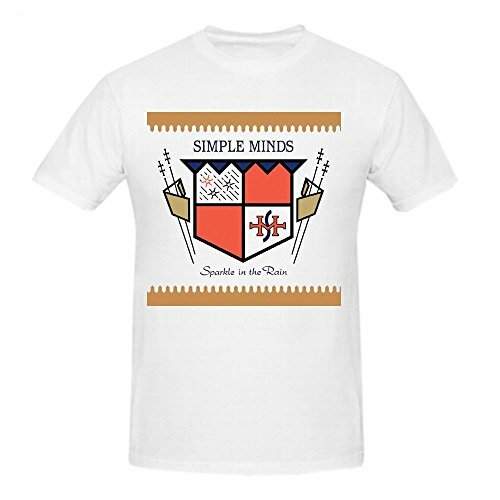 Simple Minds are still performing and released the album "Walk Between Worlds" in 2018, which reached No.4 in the UK album charts. Disclosure: Simplyeighties.com is a participant in the Amazon Associates affiliate advertising program. This enables us to earn fees cfrom linking to products on their websites. 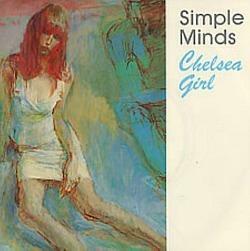 Released in 1979, Chelsea Girl was the second single release by Simple Minds and featured on the bands debut studio album Life In A Day. It didn't chart anywhere, although the title track from the album (the band's debut single) had managed to reach #62 in the UK singles chart. 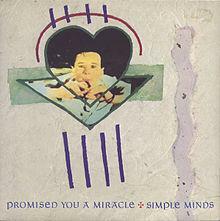 The first Top 40 success came in 1982 with Promised You A Miracle which reached #13 in the UK. The first Simple Minds song to break the Top 40 outside of the UK was Love Song, the lead single from the album Sons And Fascination. This peaked at #16 in Sweden, #17 in Australia and #47 in the UK. This song brings back a lot of memories, and the performance in the video clip above is from the early days, when Jim Kerr was still wearing make-up and sang in a less commercial style. This last single from the New Gold Dream album only reached No.36 in the UK charts, even though it was one of their finest moments in my opinion. 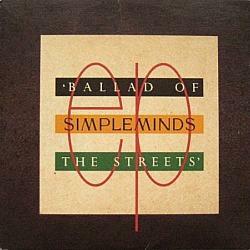 This song was taken from Simple Minds' sixth studio album, New Gold Dream (81-82-83-84), which was released in 1982. It was the first album to feature a slick and sophisticated sound, although the stadium rock sound still hadn't kicked in just yet. That would be left for the following album Sparkle In The Rain. 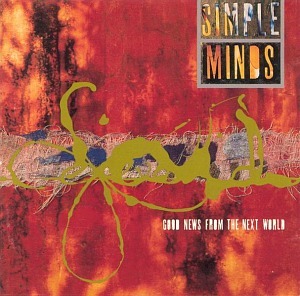 Featuring deep electronic beats by Mick MacNeil and some neat guitar riffs by Charlie Burchill, "Promised You A Miracle" brought Simple Minds their first Top 40 success in the UK, reaching #13 and charting for a total of 11 weeks. New Gold Dream was, in my opinion, the ultimate Simple Minds album, with hits including Someone, Somewhere in The Summertime and Promised You A Miracle. The title track was sampled by Usura in the 90's for their trance hit "Open Your Mind". 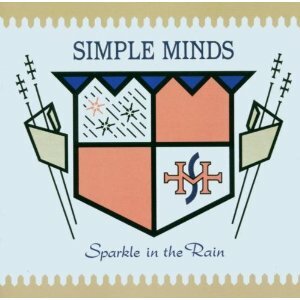 Released in November 1983, Waterfront was the lead single from Simple Mind's sixth studio album Sparkle In The Rain. The song was the first track by the Scottish band to feature the familiar stadium rock sound and reached Number One in several countries, although it peaked at #13 in the UK. 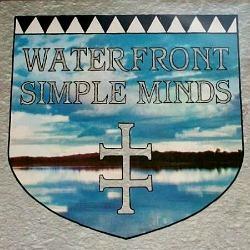 Due to my immaturity, I wasn't a Simple Minds fan during the 80s when they were producing their best music, and I remember listening to Waterfront on a Now That's What I Call Music album and not being impressed at all. But hey, I was only 14 years old and it took me another five years to finally discover the band and realise what other rubbish I had been listening to! The video clip in the playlist features a superb live performance by Simple Minds of their eighties single "Ghostdancing", at the Live Aid concert in Philadelphia, 1985, and Jim Kerr's voice is on top form! I had the pleasure of seeing the band perform live twice in the early 1990's. Once at Milton Keynes Bowl where they were also supported by OMD, although I felt a little queasy on the way home as I had to sit in the back of a friend's van which had atrocious suspension! The second time was at the NEC in Birmingham, although the acoustics were not quite as good as at the Bowl, but the band was brilliant, as expected. This epic reached No.1 in 1989 as part of the Ballad Of The Streets EP which also included the tracks Mandela Day and Biko which all featured on the the double-platinum selling, politically-charged album Street Fighting Years. The music to Belfast Child is borrowed from the Traditional Irish folk song She Moved Through The Fair, although the lyrics are completely different. A friend of mine bought the EP on CD and kindly let me borrow it for a weekend. He is responsible for turning me into a fan! The Street Fighting Years album also reached No.1 in the UK album charts and received glowing praise, including a rare five-star review from Q magazine. Jim Kerr married Patsy Kensit in 1992 with whom he had a son, James (born in September 1993). They divorced in 1996. Patsy Kensit was lead singer in Eighth Wonder who had a top ten hit in 1988 with "I'm Not Scared" which was written and co-produced by the Pet Shop Boys. The early to mid 1990s was a period when quite a number of 80s pop stars decided they would look a lot trendier if they grew their hair long. Rick Astley, Marti Pellow and even Jim Kerr was at it! Of course, these days, he hasn't got much left, so I suppose he was making the most of his flowing locks while he had the chance! She's A River (1995) was the lead single from the album Good News From The Next World, and reached #9 in the UK. The follow-up, Hypnotised, peaked at #18. This was the only Simple Minds album I bought during the nineties, but it is an album that I still listen to occasionally, with almost every track being worthy of being released as a single in its own right. 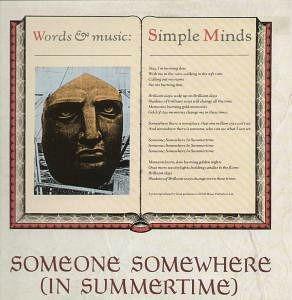 Memorable melodies combined with big guitar riffs bring a classic Simple Minds sound. But it definitely has a rockier edge than the previous outing Real Life, which was too over-produced for my liking. The highlight for me, though, was 7 Deadly Sins, which is a track that is crying out for the volume to be pumped up, and deserves a music system with good bass. The stadium sound isn't for everyone, but personally, I think it really works on this track. Released in February 1995, this was the only Simple Minds album I bought during the nineties, but it is an album that I still listen to occasionally, with almost every track being worthy of being released as a single in its own right. 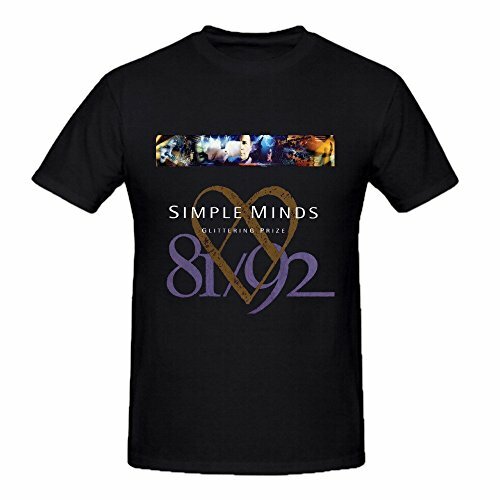 Memorable melodies combined with big guitar riffs bring a classic Simple Minds sound. But it definitely has a rockier edge than the previous outing Real Life, which was too over-produced by Steve Lipson for my liking. For this album, Keith Forsey and the band themselves are the producers, and the result is a big improvement. The highlight for me is 7 Deadly Sins, which is a track that is crying out for the volume to be pumped up, and deserves a music system with good bass. The stadium sound isn't for everyone, but personally, I think it really works on this track. Good News was panned by critics in the UK, with Melody Maker stating "for all of it's cod-wagnerian vastness, there are no tunes". Okay, some of the songs take more than one listen, but anyone who could claim there are "no tunes" had obviously mistaken their ear muffs for their headphones.